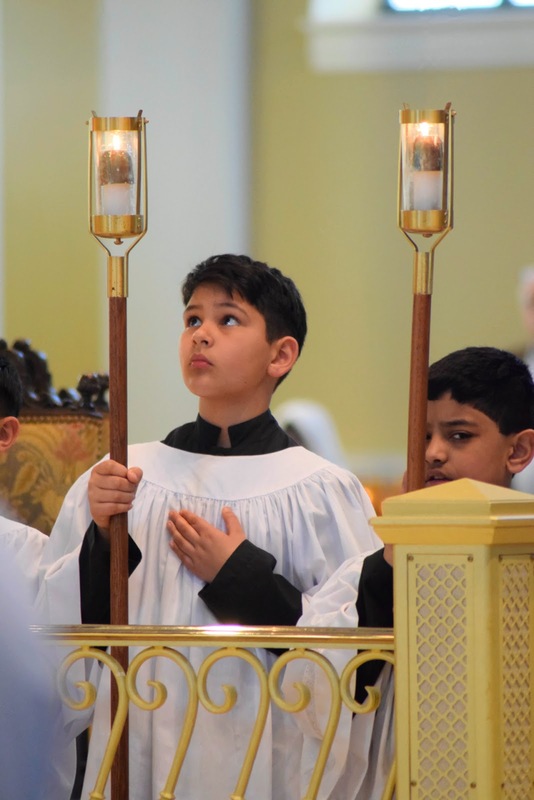 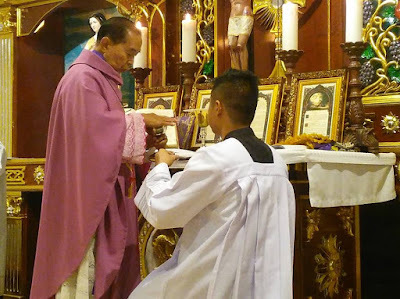 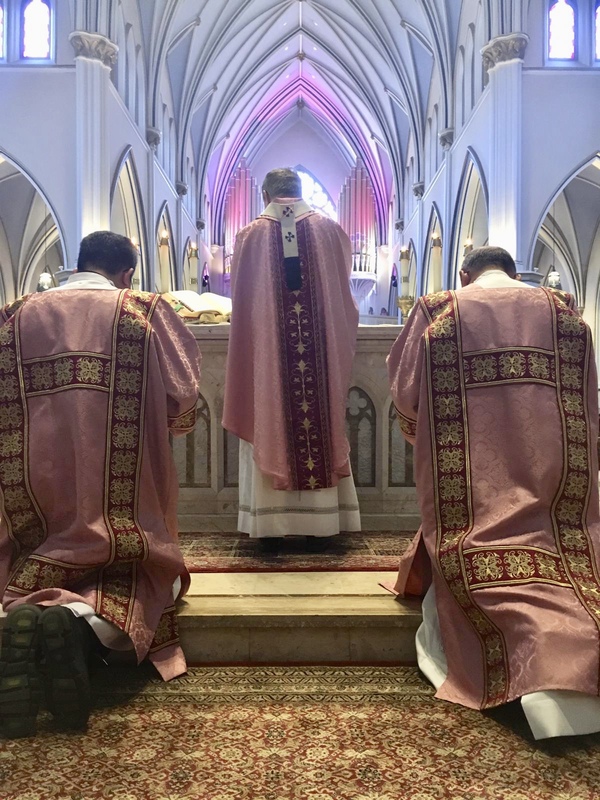 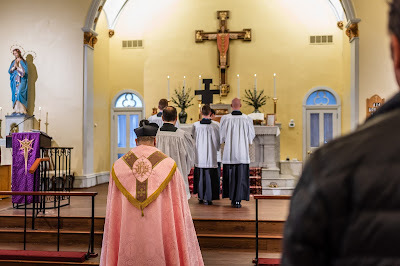 Since our first Laetare photopost was pubished on Wednesday, we have received enough new submissions to make two more posts, the first year we get up to the three for Laetare! 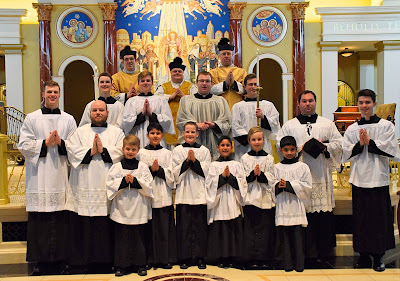 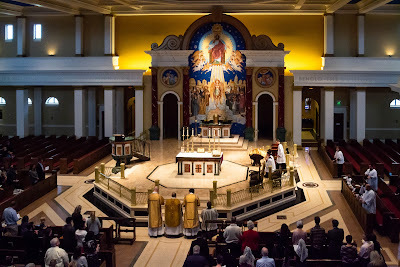 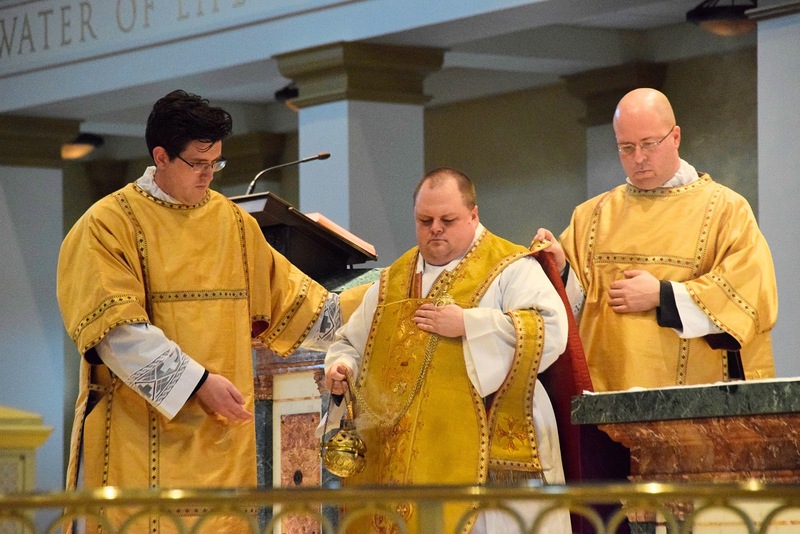 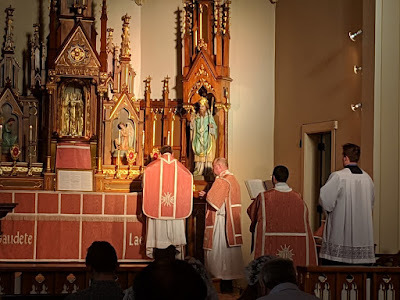 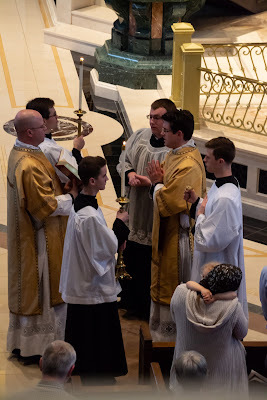 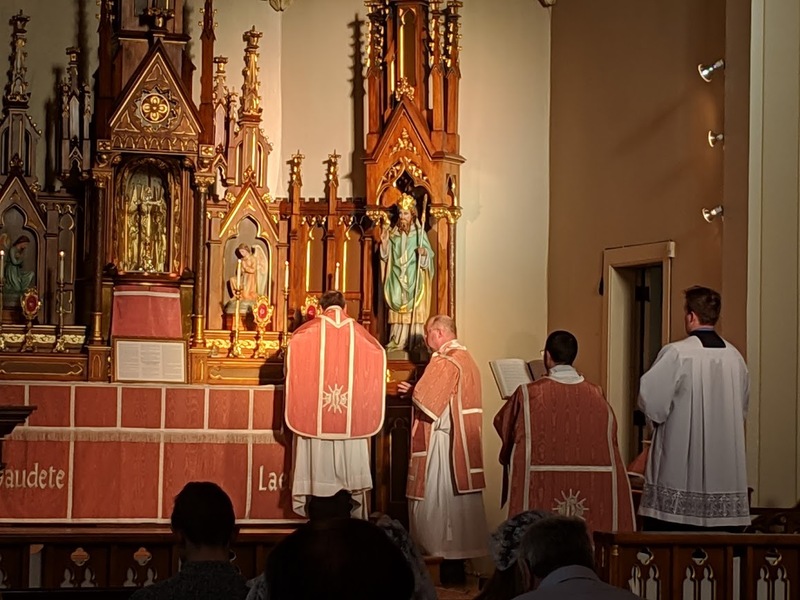 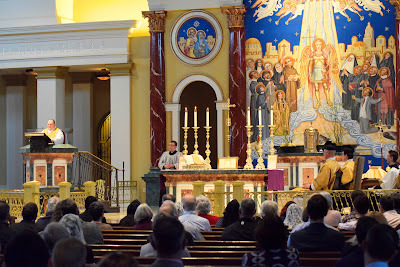 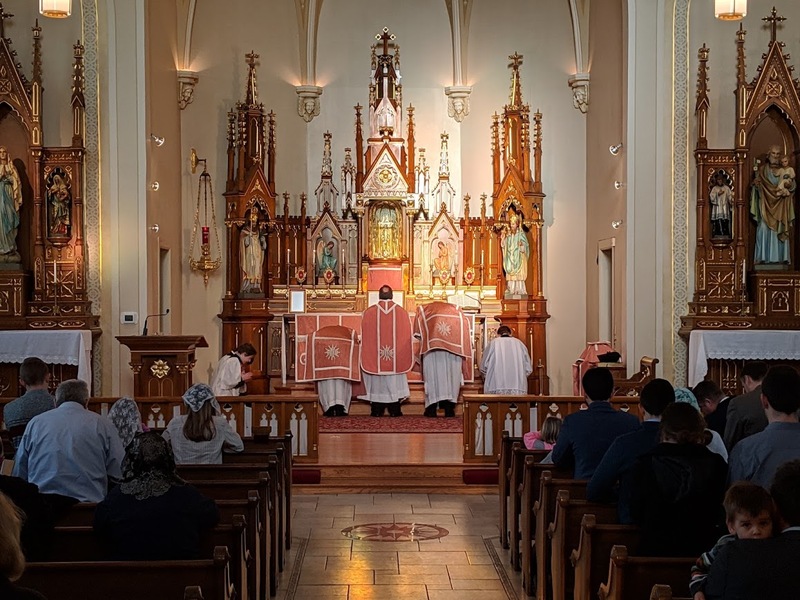 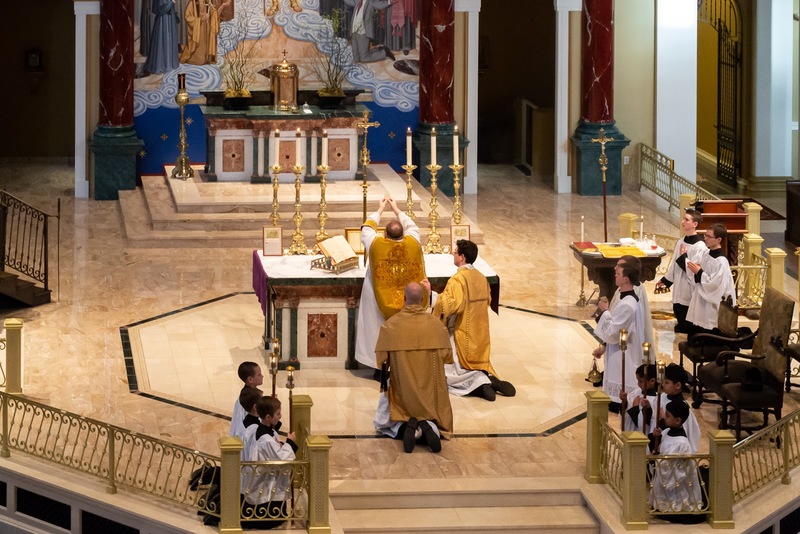 We begin with a solemn Mass held on the Annunciation at the church of St Michael the Archangel in Leawood, Kansas, in the archdiocese of Kansas City, the first such Mass held in the church; we are glad to hear from the celebrant, Fr Shawn Tunink, that it was very well attended! 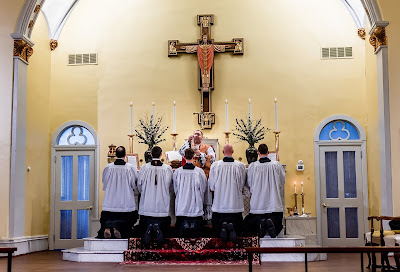 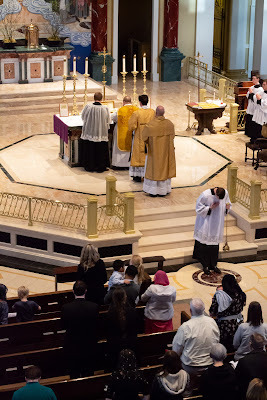 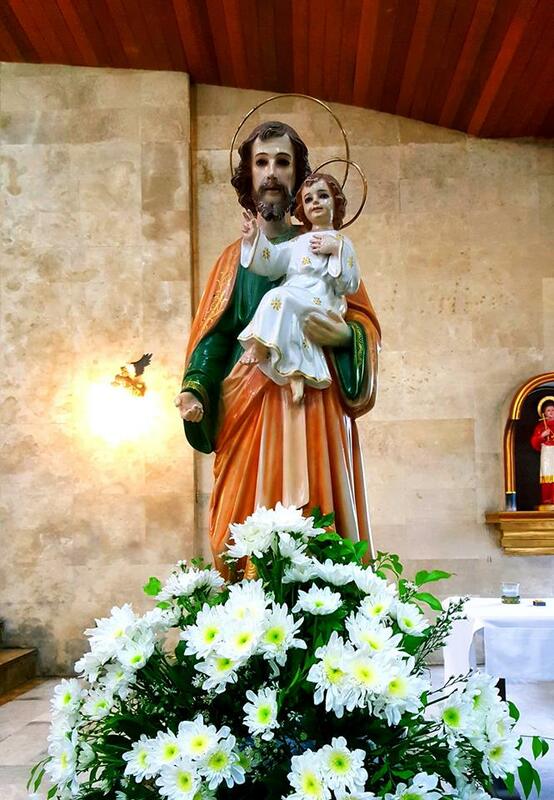 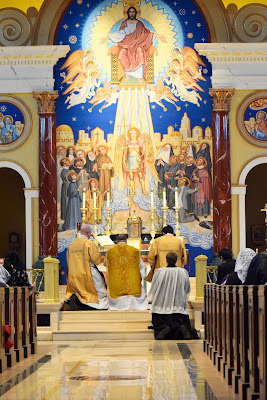 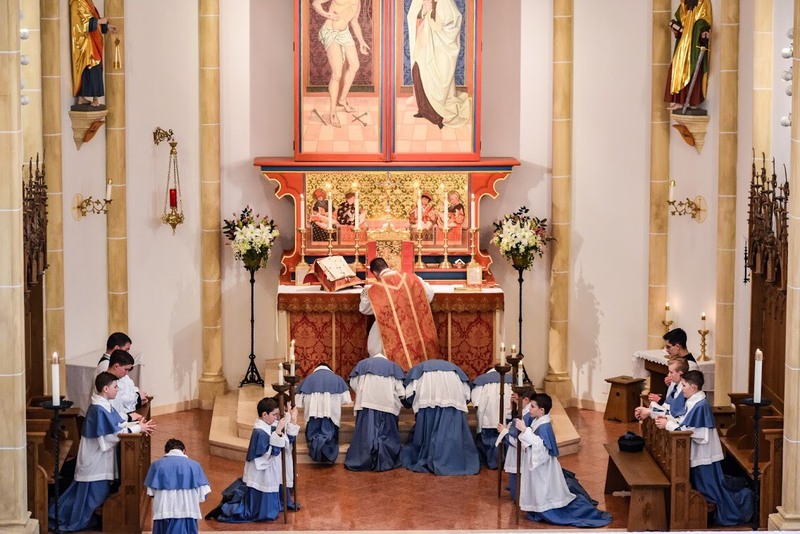 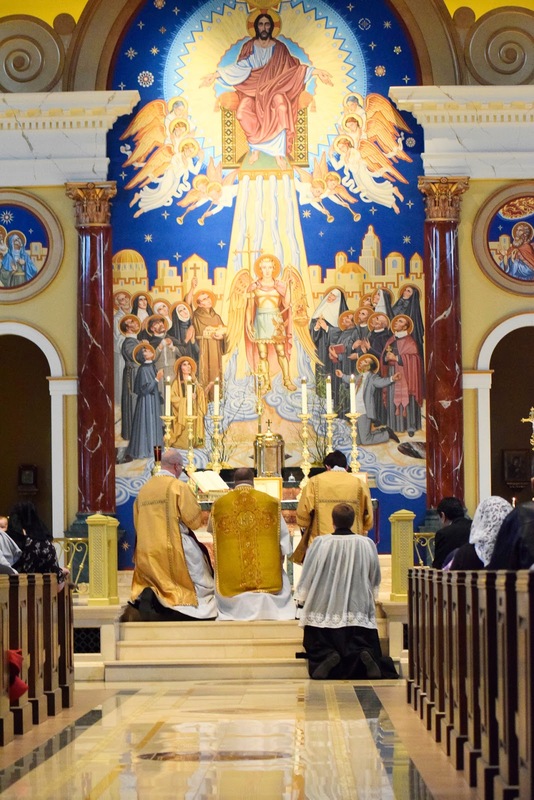 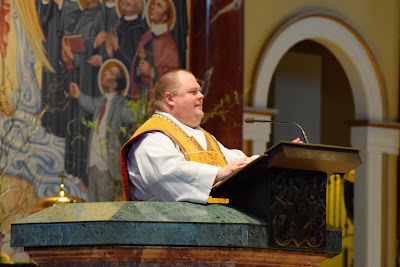 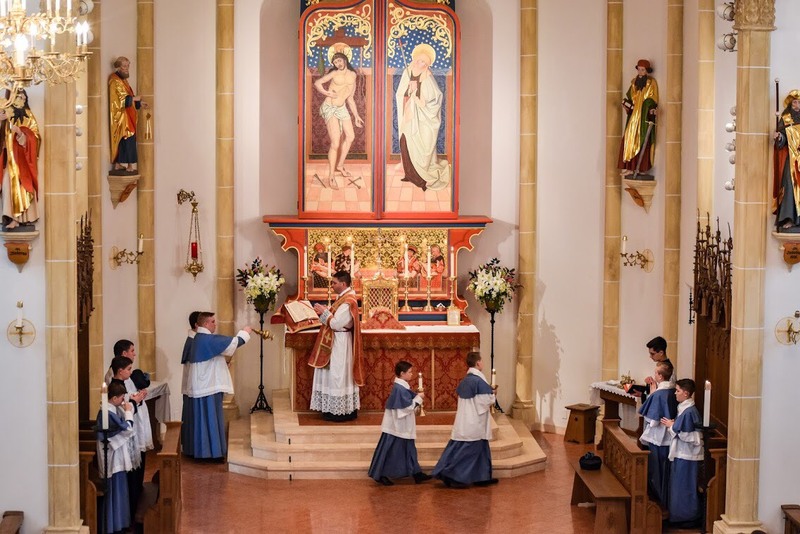 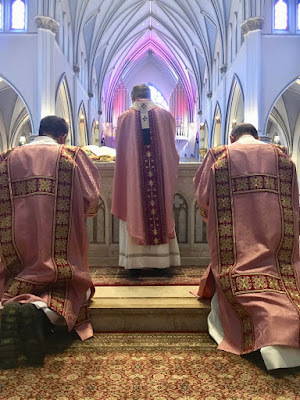 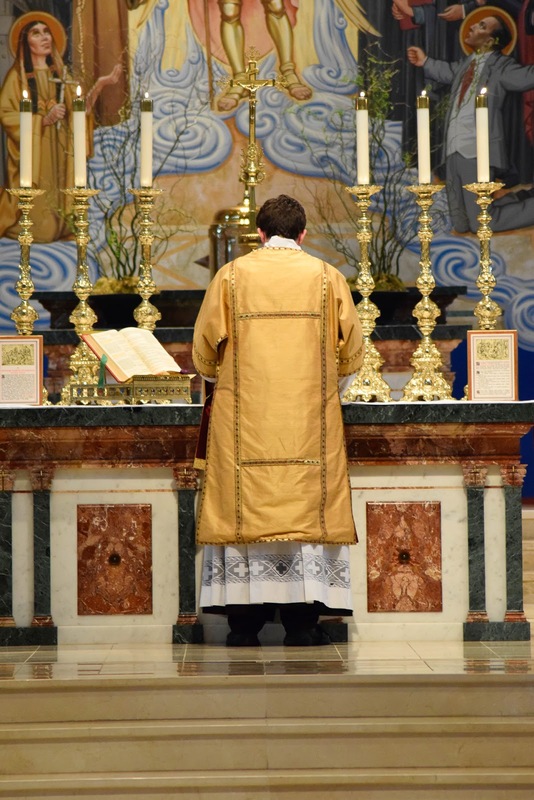 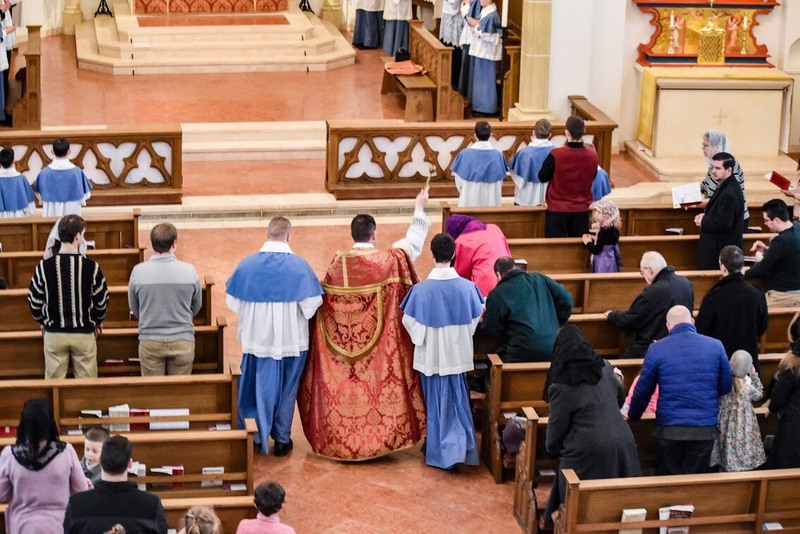 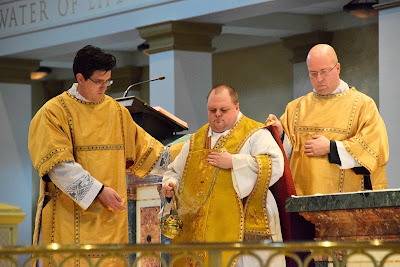 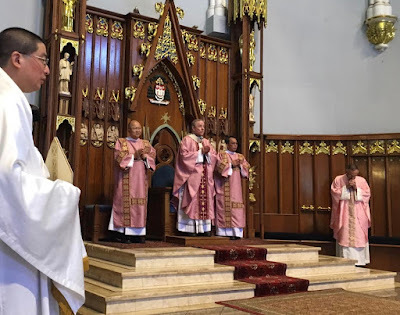 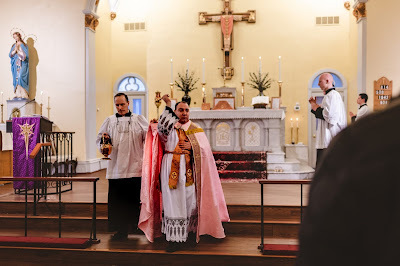 I am also including a video from a local news channel in my hometown, Providence, RI, about the church of St Mary, recently taken over by the FSSP; the former superior general, Fr John Berg, is now the pastor there, and the community is flourishing. 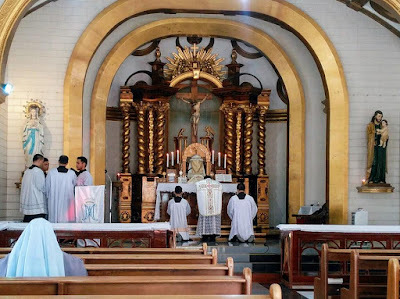 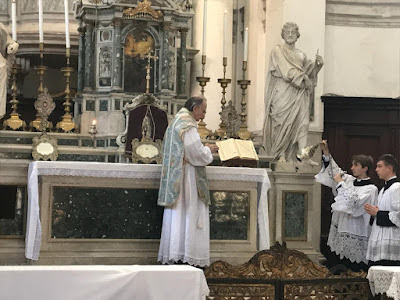 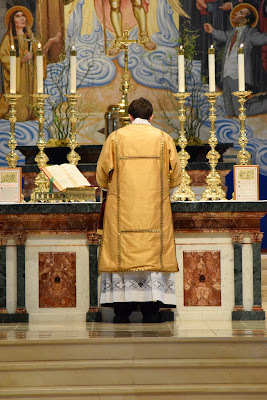 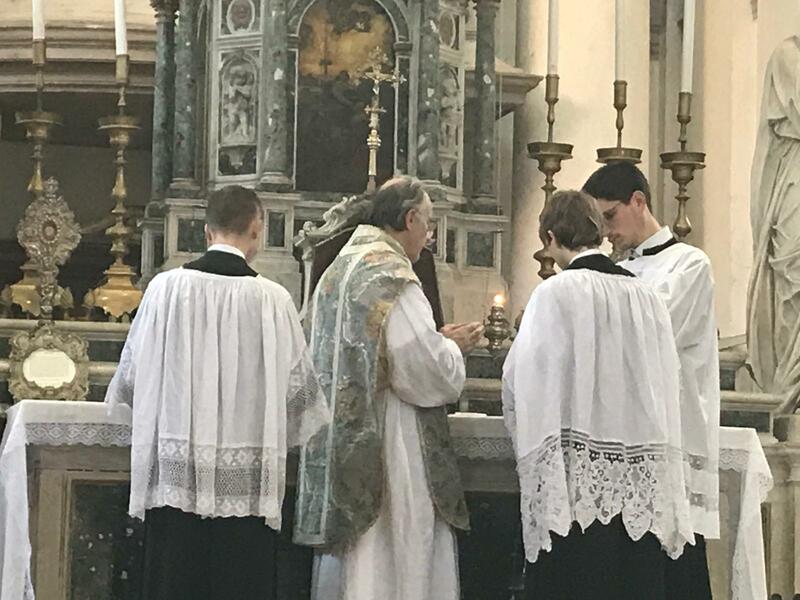 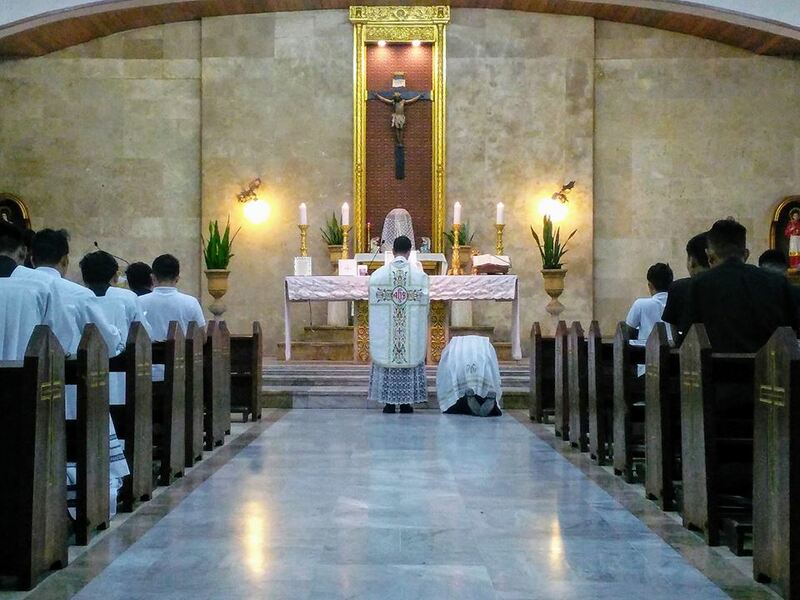 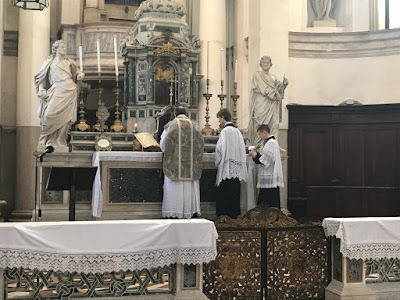 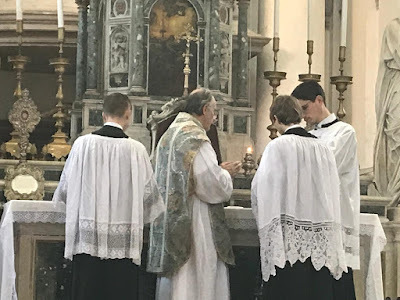 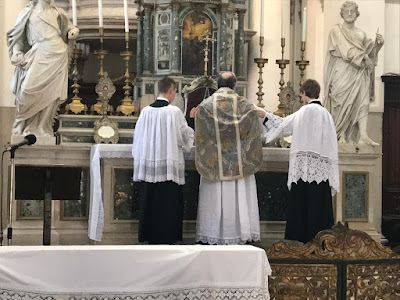 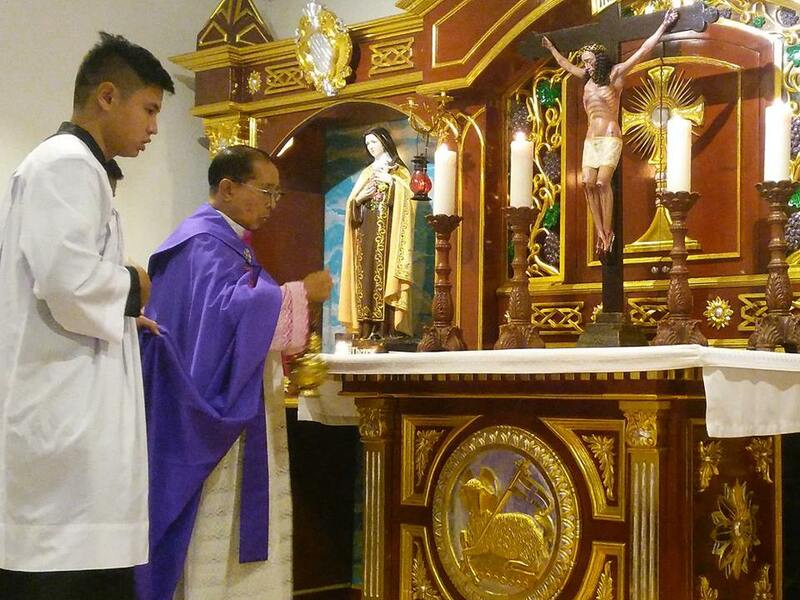 The footage of the Mass which they included was filmed on Laetare Sunday. 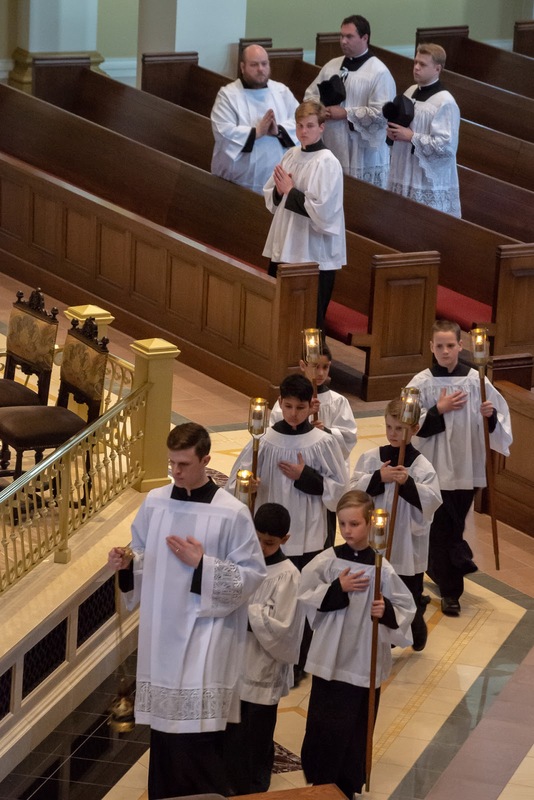 The thurifer (also seen in the sixth photo below this one, leading in the torch bearers) is Mr Harrison Butker, the place-kicker for the Kansas City Chiefs. 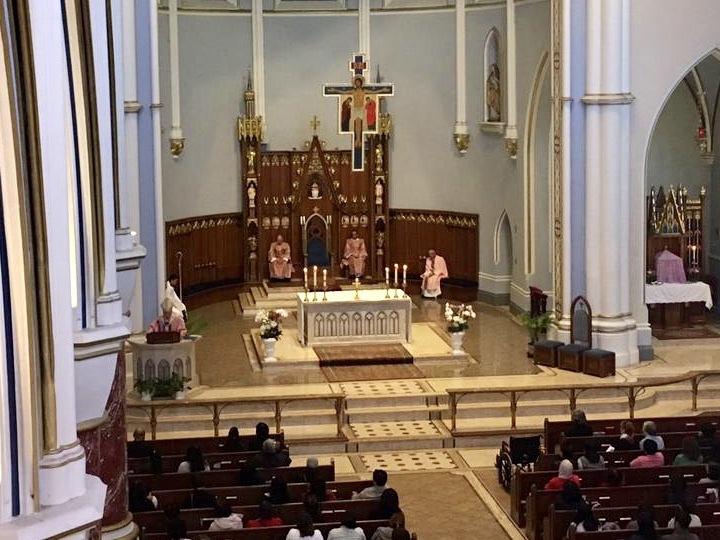 The team’s punter is currently in RCIA; he and his sons will soon be joining Harrison in the sanctuary.